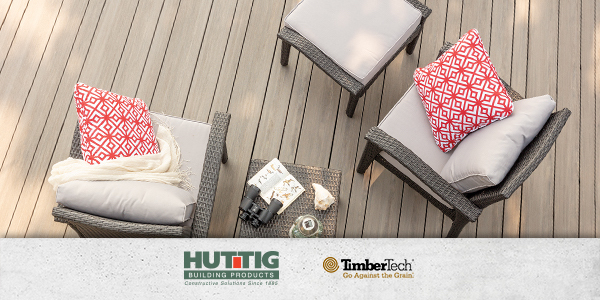 Give your customers the opportunity to create an unforgettable outdoor living space with TimberTech AZEK Multi-Width capped polymer decking from Huttig. Now available in narrow, standard and wide width boards, Multi-Width Decking can be used to enhance a variety of home designs, or craft a custom deck layout that will be the envy of the neighborhood. 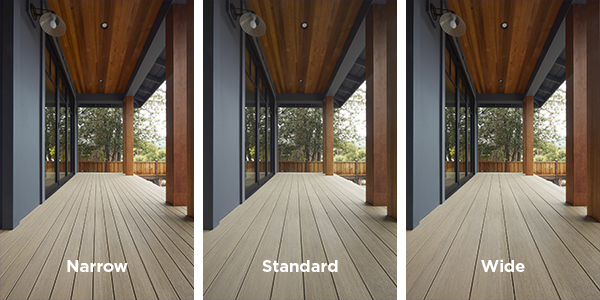 Formulated to stay beautiful for decades, AZEK Decking’s technologically advanced deck boards are extremely resistant to mold, rot and warping. They require almost no maintenance — no more staining or resealing every year. Your customers will enjoy peace of mind that comes with a 50-Year Fade & Stain Warranty and a Limited Lifetime Warranty. Visit www.huttig.com or download Multi-Width hot sheet here to learn more!